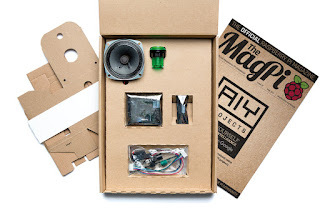 A while back, Google and the MagPi did a collaboration which resulted in the first AIY Project, the AIY Voice Kit. The Google AIY Voice Kit is a bundle of some hardware components along with an SDK to build your own voice assistant, similar to a Google Home. First, it was released as a special version of the MagPi magazine issue #57. Later, because of the high demand, it got released as a stand-alone product. Apart from the Raspberry Pi, everything needed to build a voice assistant is included. 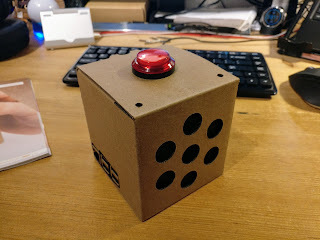 There is a very detailed manual included in the box with step by step instructions on setting up the hardware, the software and the account needed for the AI backend at Google. The only issue I had was that the button included in the package was a different one compared to the one shown in the manual. So I had to play around with it a bit and check for some references online. Oh, before I forget, there is no soldering needed at all. Everything is set up with just plug connections. After everything is set up, the included demos can be executed. There are different versions, with button support and voice activation or just with the button activation. Means, the assistant can be triggered by pressing the button or the "OK Google" voice command. After that simply ask something or give a command and the assistant will react to it. 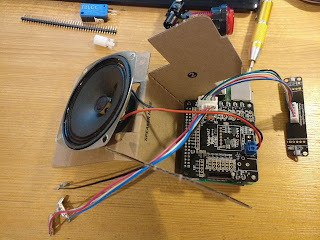 All in all, it works quite good and very similar to a real Google Home. The microphone is extremely good and will understand spoken commands or the keyword even at a very large distance. Just something to note here, it is NOT a Google Home. It's just the voice assist part of that. So it will not integrate into the Google Home network like other devices and can't cast media to a Chromecast connected with that network. On the other side, Google is constantly updating the SDK and adding features ... One of the latest updates also brought support for more languages than just English. Other features might follow. 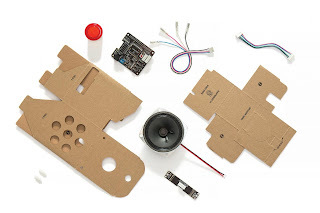 Google also released another Kit by now, the Google AIY Vision Kit which steps into the direction of image recognition. Looking forward to playing around with that as well at some point. To me, the project is a great addition to everyone who wants to play around with some development skills. 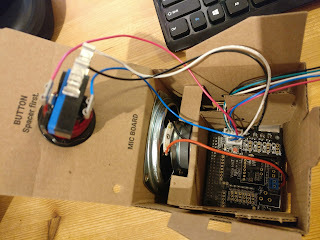 It's a great experience to bring some software development into the real world with some physical components, which makes playing around with all around the Raspberry Pi so exciting to me.